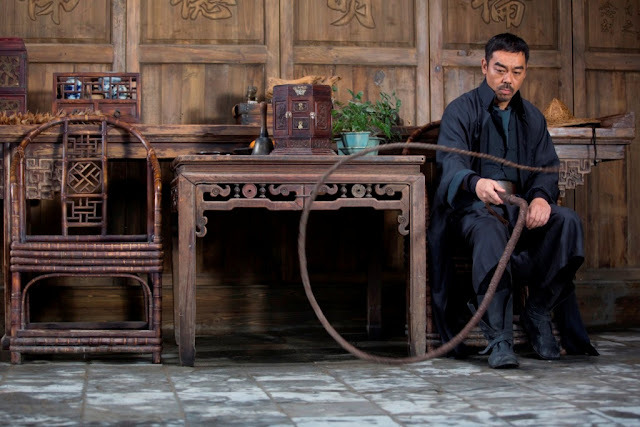 This martial art action film takes on the theme of the good prevailing over the evil, set in the chaotic warring periods of warlords after the Qing Dynasty collapsed giving way to the founding of the Chinese republic in 1911. It is a tale, as with many in a similar genre, in which justice finally triumphed, with huge loss of lives, when heroes rose to the call of the occasion. The film is supported by a cast of award-winning stars. I usually avoid martial art films because of their trite story lines, often told with exaggeration of incredible human spirit and unconvincing martial art flicks. This martial art film, however, actually held me spellbound, continuously engaging me emotionally and visually from one scene to another, enhanced by the rousing music and some spectacular scenes, epic and inspiring at times. I particularly like the memorable scene of the crumbling mountain of jars on which two martial art adversaries fought ferociously, though I found the outcome of the life-and-death duel ludicrously weird when the winning adversary sacrificed himself to save his opponent in the avalanche of falling jars. 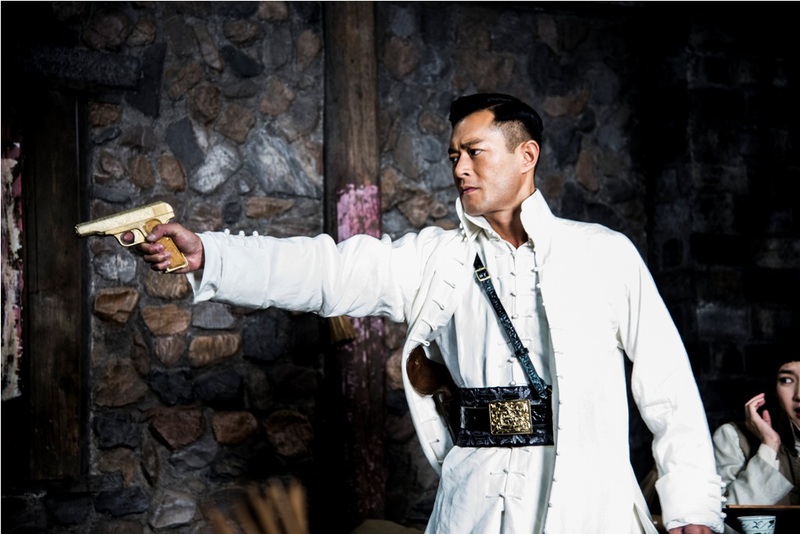 The story was set in the remote village of Puchung, with the upright and stubborn Sheriff, played by Sean Lau (刘青云), in charge. The psychopathic son of the warlord Cao, played by Louis Koo (古天乐), dropped by at the village and killed a villager, a teacher and a child. The Sheriff pronounced a death sentence on Cao’s son to be carried out the next day. Cao’s men and soldiers, led by Wu Jing (吴京) came to rescue Cao’s son, who preferred to sit through the night in the prison cell to see how his ‘game’ would play out. The village’s officials and ordinary folks pleaded with the Sheriff to release Cao’s son to spare them and the village to live another day. The Sheriff rather resigned then to violate his principle, and Cao’s son was released. However, the village was not spared and hell broke loose. The heroes of the village responded rose to the occasion, assisted by a wandering vagabond played by Eddie Peng (彭于晏). Do note that the film is coded NC 16 owing to the violent and sometimes gory contents. However, you need not be 16 to close your eyes to many of these vividly gory scenes if they are disturbing to watch. 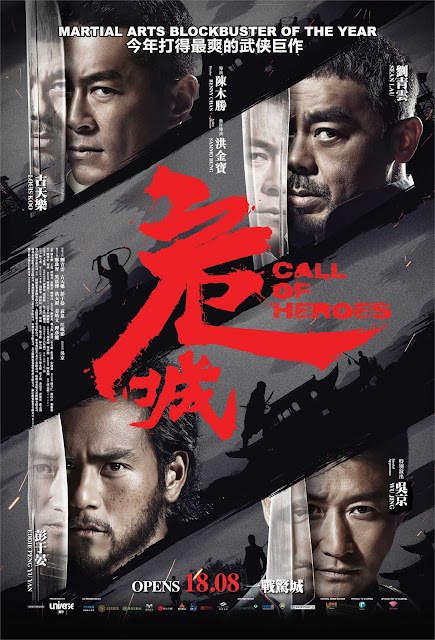 Produced and directed by Benny Chan with action direction by Sammo Hung, I will rate this film 3.5 out of 5 on the whole. Showing in cinema from 18 Aug 2016.